Retirements and changes in the beverage company’s strategies have led to new elections for various top leadership roles at Coca-Cola. Coca-Cola will get a new President, Chief Operating Officer, CFO and CTO. The beverage company’s top leadership is undergoing major changes with upcoming retirements and expanded operations. Brian Smith will take up the role of President and COO starting January 1, 2019. The current President and CEO James Quincey will continue to fulfill his duties as the CEO. At present, Smith is the Group President for Europe, Middle East and Africa. 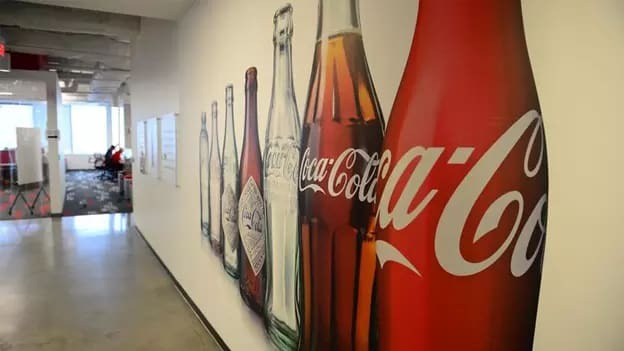 “At a time when our business is fast changing and getting more complex than ever, it is important to have a skilled executive who focuses intently on the success of our operations,” said James Quincey, Coca-Cola CEO. Smith will look after implementing strategies on a global scale while Quincey would be incharge of driving Coca-Cola’s long-term goals and success across all markets. Kathy Waller who presently is the executive vice president, CFO and president of Enabling Services will retire after a 32 year successful run at Coca-Cola. Waller will retire on March 16, 2019. Her successor Jon Murphy who is Coca-Cola’s President of the Asia Pacific group will assume his new role as the senior vice president and deputy CFO starting January 1, 2019. Murphy will be incharge of the company’s global financial organization that spans across various countries. He will handle everything from M&As, investor relations to real estate and risk management. Part of the duties related to Enabling Services will be picked up by Barry Simpson who is the senior vice president and Chief Information Officer. Ed Hays will retire from the group on March 31, 2019. In the first half of next year, Hays will become a senior advisor from January 1, 2019 and retire later in the year bringing a 34 year period of service at Coca-Cola to an end. Nancy Quan will assume her duties as an elected senior vice president and appointed Chief Technical Officer from the start of 2019 succeeding Hays in his role. Quan was the Global R&D Officer in her previous role at the company and will now be responsible not only for the R&D but also Quality, Safety and Environment and Scientific and Regulatory Affairs apart from other focus areas. Quincey announced these changes via a video and press release.